The Eternal City of Rome is often spoken of as one of the world’s finest capital cities – and with good reason. Its long, incredible history dates back to 753BC and a glance across its amazing cityscape reveals bountiful treasures just begging to be explored. Yet a visit to Rome offers more than a chance to do some sightseeing, it is an opportunity to live that famous Roman saying: ‘La Dolce Vita’. Lounge in piazzas, sup an espresso and dash between trendy bars in the early evening – life doesn’t get much sweeter than this. You are not short of options to make the journey from Civitavecchia to Rome. Most cruise passengers will choose to take a paid excursion with their cruise line, who will provide transport into the city as part of the cost. Looking to make your own way? Take a bus into the city (60-80 minute journey) or the train for a reasonable €5 one-way for a slow train, or pay a little more for a quicker Inter-City train. Be warned though, the walk from the port to the station (although quite pretty) could take you a solid 30 minutes depending on how far out you are docked. Colosseum: It doesn’t feel possible that a structure as advanced and impressive as the Colosseum could date back to 70AD – but somehow it does. Once the arena of gladiators and performers, its bloody past lingers in the air, but it’s the well-preserved architecture that really takes your breath away. Make sure to visit with a guide (either through an excursion or your own booking) to really bring the history to life and, more importantly, to help skip the queues. And, yes, someone shouting lines from Gladiator is to be expected. Trevi Fountain: Throw a coin over your left shoulder with your right hand into the Trevi Fountain and one day you’ll return to Rome. It’s a simple tradition but one that draws flocks of tourists to this baroque treasure (gleaming white galloping horses and powerful Gods abound) every year – and raises €1.5 million a year for a local catholic charity. Plus, film buffs will recognise it as the setting from the iconic fountain scene in Federico Fellini’s 1960 masterpiece La Dolce Vita. Vatican City: The world’s smallest country is found in the heart of Rome and has been the seat of the Papacy since 1377. Although the queues of tourists may put you off, stick with it and you’ll be treated to some of Rome’s most treasured works of art. None more important, of course, than the Sistine Chapel – home to Michelangelo’s iconic painted ceiling – but make sure to find time for a tour of the Vatican Museums where you’ll find works from the likes of Caravaggio, Raphael and Leonardo da Vinci. Da Augusto: A traditional trattoria near to the River Tiber. Expect fresh pasta and traditional meats (rabbit is a firm favourite) and an authentic Roman atmosphere. Perfect for a light lunch. Pizzeria da Remo: Enjoy a slice (or two) of a classic Roman pizza at this long-running pizza restaurant. Make sure to try their delicious arancini rice balls as well. Gelateria dei Gracchi: Then stop off for a couple of scoops of authentic Italian gelato at this ever-popular ice cream joint. Via dei Condotti: Make your way to this famous small street at the foot of the Spanish Steps to do a spot of window shopping at some of Italy’s most famous fashion houses, including Gucci and Prada. Via del Corso: Think of this as the Oxford Street of Rome as its home to some of the biggest high street names in the world. If you want something, the chances are you’ll find it here. Via del Boschetto: Bring back something unique from this quirky street filled with independent boutiques, craft shops and cute little cafes. Don’t order a milky coffee after noon. Cappuccinos and the like are considered breakfast beverages and it is regarded as odd to drink them in the afternoon. Stick to a traditional espresso instead. 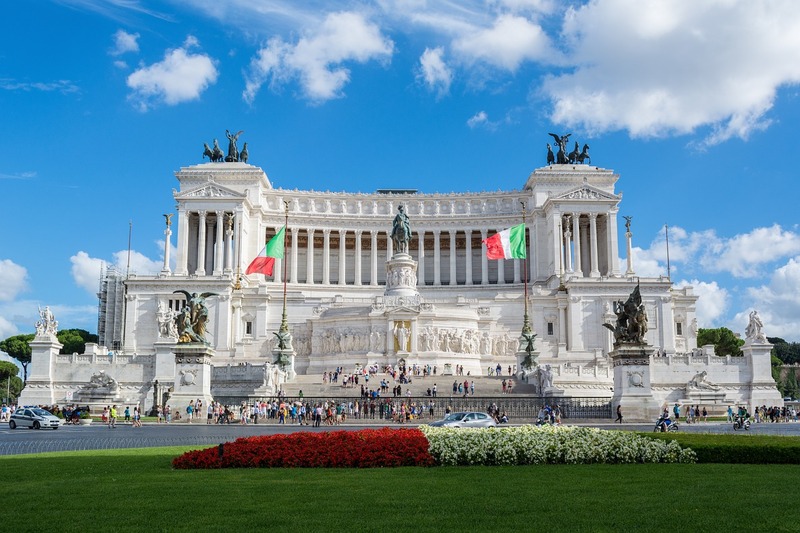 If you are planning a trip to Rome then you may also be interested in checking out the latest ocean and river cruise news and our most recent articles on cultural cruising.